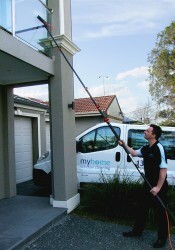 Put the sparkle back into your windows with the Brighton Myhome Window Cleaning team in Melbourne. Our Brighton Window Cleaners will take care of all your all your windows, doors, pool fencing; in fact – anything that is glass! Inside or out! At Myhome Window Cleaning, we like to do things a little differently. We found out that the typically used soapy water actually attracts dirt to your windows and glass! The soapy residue that’s left behind sticks to the glass holding the dirt in place. Also tap water contains impurities including nitrates, potassium, calcium, phosphates and chloride, which stick to glass leaving white streaks and spots on your windows. 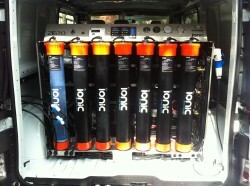 Instead our Window Cleaners use a unique UltraPure Window Cleaning System. The water we use is ionised, which means it’s purified to such a level that the water actually attracts and holds onto the dirt and impurities. What all this actually mean to you is pure, clean, streak free windows and glass! Not only that you’ll receive a really competitive price! 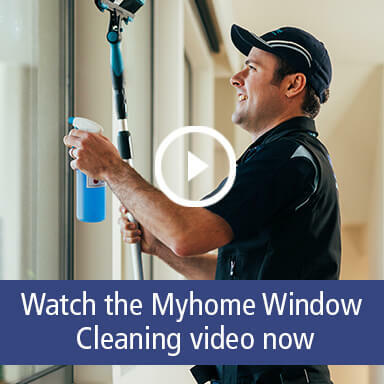 Myhome Window Cleaning in Brighton only clean domestic properties so you’ll receive great expertise and our best level of care, and all at a great price. For a free quote call the Brighton Window Cleaning team now on 13 22 31 or contact us online.